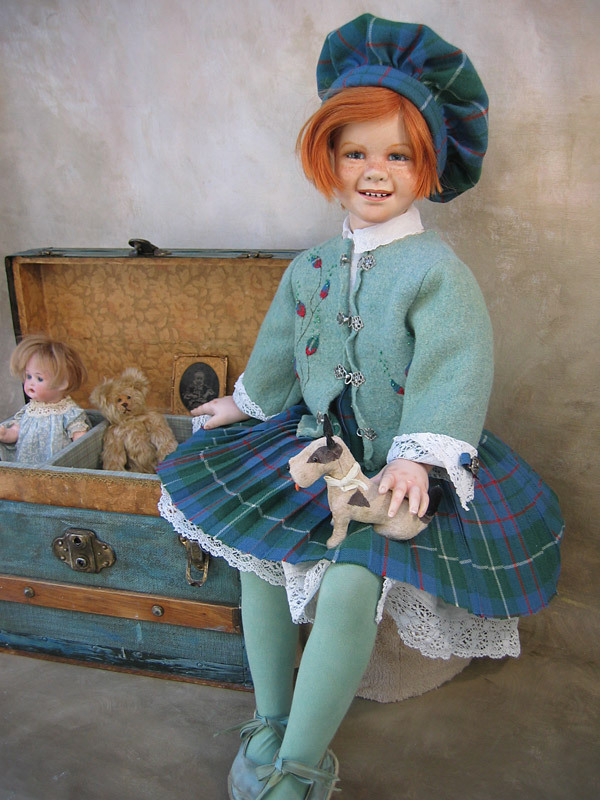 A happy, freckle faced child dressed in a (Duncan) tartan kilt & tammy, a Victorian lace under-dress & hand beaded & appliquéd wool cardigan. 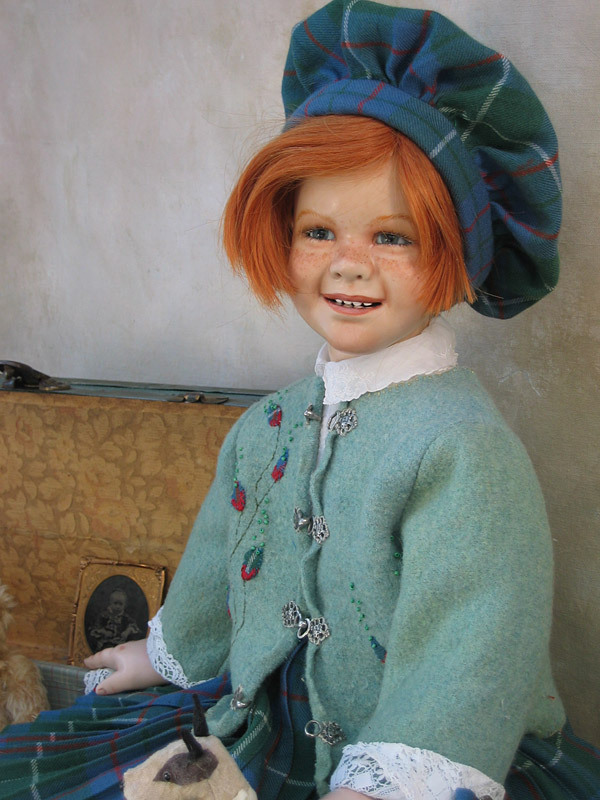 Mary's antique dolls' trunk includes a very nice antique German bisque doll (10 inch), on a composition body, sleep eyes, open mouth (Bisque & composition are in excellent condition). Head incised: P.T. 924 Germany. 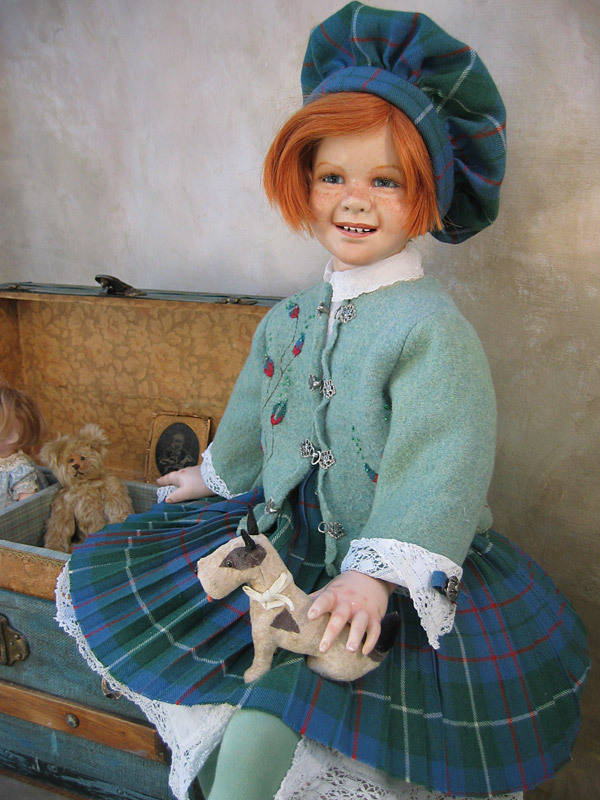 Also includes is a vintage toy dog, two small bears and an antique framed photo.